If you were thinking of switching over to Telus prepaid brand Public Mobile, there’s still time to get a $25 credit when you activate a new plan online. 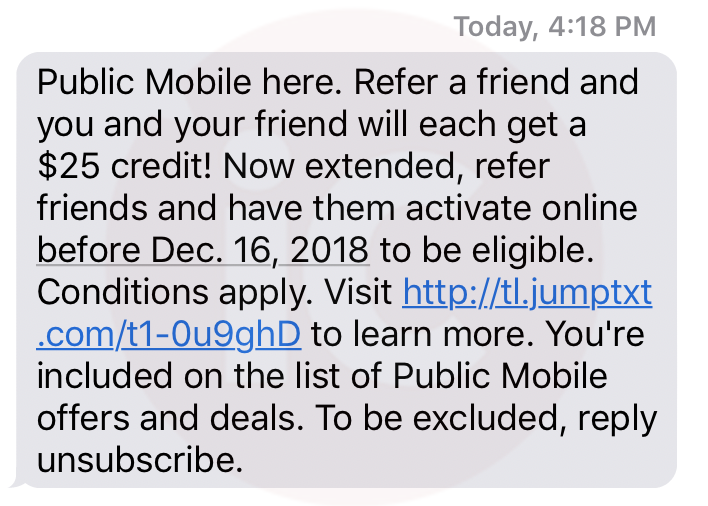 Public Mobile has extended their $25 refer-a-friend credit promotion until December 16, 2018. 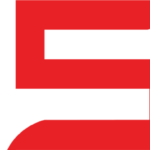 The promo originally launched back in mid-November, offering you and your friends $25 each. In order to get the $25 credit, your friends need to activate a 30 or 90-day plan online on publicmobile.ca, then enter your referral number during the account creation process. Credits will be applied within 72 hours of activation. According to Public Mobile, “Online SIM delivery may be longer than usual until Canada Post rotating strike has ended.” To buy a SIM card locally, your best bet is to visit a participating retail partner such as Walmart, The Mobile Shop, London Drugs, Wow Mobile or K-Mobile. There’s a chance Public Mobile could extend the promo again, to leverage sign-ups during Boxing Day. If you need a Public Mobile referral, email tips @ iphoneincanada.ca.